No matter what type of business you’ve built it’s vital you find accounting software that keeps tracks of your business income and expenses. And that’s where FreshBooks comes in! Over the years, FreshBooks has offered many different iterations of their software. The great thing though is that compared to other complicated accounting programs (like QuickBooks or Xero) FreshBooks offers a fresh take (ha!). Their platform is clean, easy to use, simple to get started with, and allows you to share reports and access with your accountant. 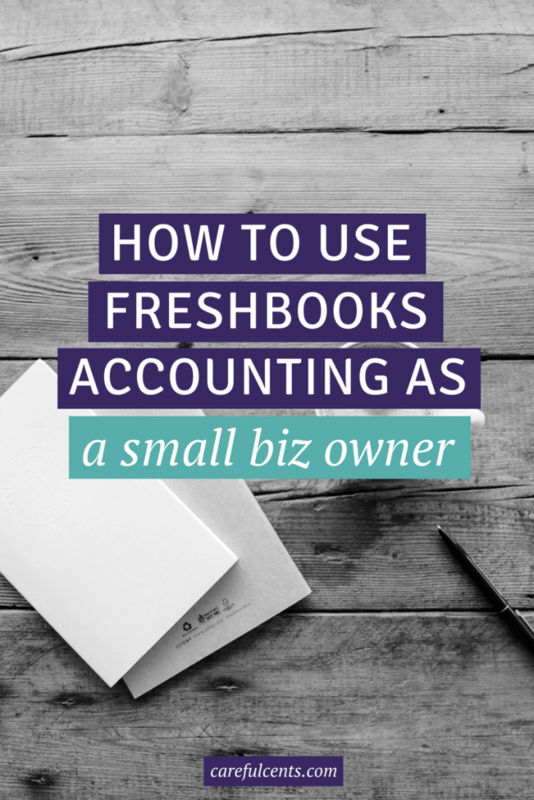 Basically, FreshBooks is a simplified version of bookkeeping software WITH all the major features — but without all the stress. After testing a few different ones, FreshBooks Cloud Accounting is one of the best. It has features so you can track your time, create invoices to all your clients, and even manage important expenses for projects. Use this in-depth tutorial to find out how to use FreshBooks to keep my online business organized and running smoothly! FreshBooks is a cloud-based accounting program that mainly focuses on creating invoices, project management and time tracking. But they also make it easy to organize your client list, manage team members, collect payments, sync reports with your accountant, and review bookkeeping stats. As you can see, it does quite a bit and they are constantly improving how it works. One of the cool things I really like about FreshBooks is that you can send professional looking invoices, with your brand colors and logo, right into your clients inboxes or mailboxes each month. Getting paid on time is one of the most important parts of being a freelance business owner, and FreshBooks makes that happen. Learn even more about the capabilities of this software, in this detailed review of FreshBooks Cloud Accounting prepared by experts from FinancesOnline, an independent review platform. FreshBooks has been part of my online business for over 5 years and has been a major component of my success and business growth since the beginning. I have even met the FreshBooks team in person and have a great relationship with them. Because of this Careful Cents has an exclusive offer to get started with FreshBooks Cloud Accounting totally free for 60 days! Click here to sign up for a free 60 day trial. FreshBooks is simple to use but has many awesome features, with more being added every day. Here’s how to get started using FreshBooks for your online business, as a freelancer, or a small business owner. Yes, it really does work for any type of modern-day business entity! The foundation of FreshBooks is creating and sending professional looking invoices. When you click the Time Tracking button, you’ll be able to clock the hours you log for a client or project. At the end of the month, all of your time can be exported to an invoice automatically, or you can create an invoice summary manually. You can see when your invoices are viewed, and if they’ve been paid or not. If you receive checks in the mail, you just log into your FreshBooks account and record the payment. They also have an iPhone and iPad app so you can track it on your mobile device anywhere! If you just want a simple invoice template, check out their nifty invoice creator tool. The benefit to being able to track your time so easily, is so you can see where you’re spending your time. You can determine which times of day you work best, which client or project is sucking up too much time, and if you need to increase your prices. Before finding FreshBooks I was billing all my clients through PayPal, and paying a ton of fees. Since then I only pay $0.50 per transaction no matter how large or small the payment is. When I compared this to receiving a payment through PayPal directly, I was paying over $700 in fees! This is a new feature that was just rolled out and I’m so excited about it. As an ex-accountant myself, I know the value of creating monthly reports and staying on top of the financial part of the business. Earlier this year I hired a bookkeeper to help me stay on track, create reports and organize my accounting process. We can both see the invoices, clients, reports and discuss them in our monthly meetings. She gets her own login information, and can only see the info I allow her to see. If you don’t have an accountant or bookkeeper to help run your business, FreshBooks makes it easy to find one in your local area. Or you can connect with one online. You can set it up to work with a few different types of tax software or payroll systems. It also syncs with task management systems like Basecamp, and client proposal software like Bidsketch. Check out the FreshBooks website for a complete list of programs and add-ons that the program integrates with. I have mine synced with my ConvertKit email marketing account and my Gmail account so I can see everything at one glance. The options are nearly endless for what you can use FreshBooks with to manage your business finances. I have a friend who recently started managing her husband’s construction business and she needed something he could use to create professional estimates for potential jobs and clients while on location. Once you’re logged into your FreshBooks account, you just click on the Estimates tab to create a new estimate. You then choose your client, input the information, track time for the project and send the invoice once they’ve accepted the terms. You can even invoice them for a percentage of the job upfront. Each day when you log into your FreshBooks account you can see of your transactions at a glance. It easily syncs with any business checking account that you have so you can bill out any client expenses and create monthly accounting reports. Nothing is more important to a successful business than making sure you’re making enough revenue to cover expenses, and spending your money on the right projects. And the best part is that you get all this from FreshBooks Cloud Accounting at a super affordable rate! FreshBooks recently added partial payments to their service. What does this mean? Essentially, your clients can pay part of your invoice now and the rest later. This can help you as a freelance business owner improve your cash flow and have flexible repayment terms for your clients. This is a free feature and just another thing to love about FreshBooks. To set it up, simply go to the “Accept Credit Cards” page and under “Settings” check the “Partial Payments” box to get started. Or when adding invoice payments manually, you simply type in the partial (or full) payment amount. Tax time is the dreaded time of year for small business owners. Luckily there are reports inside FreshBooks that can help. Profit & Loss Report – The king of all reports, your Profit & Loss lists all the money you’ve brought in this year as well as all of your expenses—giving you a net profit or net loss. This is an essential report come tax time, as it contains the information you’ll need to report on for your tax returns. Expense Reporting – While the Profit & Loss report is perfect for an overview, sometimes you need to really dig into the numbers. You may be asking yourself why your expenses were so high in a certain month, or why you have expenses categorized a certain way. That’s where the Expense Report will come in handy. Payments Collected – Now that you’ve looked at your expenses, you can focus next on money that’s flowing into your business—your income. The Payments Collected report gives you a breakdown of all the payments you’ve received, when they occurred, which client they came from and the method of payment. Payment Scheduling – FreshBooks users now have the ability to set up a Payment Schedule on invoices so clients can pay them in multiple and partial installments. No more having to create multiple invoices, or continually editing an existing invoice whenever a new payment is due! This feature is located at the bottom of new invoices! A good FreshBooks review wouldn’t be complete without the pricing plans. You can start with a free 60-day trial, to see if you like it, too. Lite: for $15 a month you can manage up to 5 clients and send an unlimited amount of invoices. The FreshBooks logo will be removed and you get access to all the other main features. Plus: for $25 a month you can have up to 50 active clients, send unlimited and unbranded, invoices. You can also add one staff member to your account. This is the current package that I use for my freelance business. Premium: for $50 a month you can manage 500 active clients as well as get access to everything that the Plus plan offers. You can add additional staff members to your account. They will have access to team expense reports, management tools and project details. Add-on: For $10 more per month, per person you can add team members to your FreshBooks account. They can track their time, get reimbursed for expenses and help manage all your client projects. What would make FreshBooks better? Of course you can simply look at your P&L and times that by 20% (the average amount a self-employed business owner will have to pay in SE tax at the end of the year). And then record your payments manually by clicking the “New Expense” button. Another thing to realize about FreshBooks is that it’s all completely done online so you can’t download it to your desktop and use it offline. This means there always needs to be an internet connection, whether it’s on your computer, iPhone or iPad. This drawback doesn’t particularly bother me since my entire business is run online anyway, but it’s worth noting. This is one of the best bookkeeping programs that I personally recommend to other freelancers and business owners!